What would you do if you won a $19m lottery jackpot? Most people would say they would buy a car, a house, or both. While other people would say they would quit their jobs, travel the world, and maybe save a good chunk of their winnings for a rainy day. And then there’s James Allen Hayes—a former lottery winner who turned to a life of crime. Who is James Allen Hayes? Southern California resident James Allen Hayes was working the night shift as a security guard supervisor when he won the $19m California SuperLotto jackpot back in 1998. The then 35-year-old had become the second-largest lottery winner in Ventura County. With guaranteed annual payments of $684,000 after taxes for the next two decades, the future looked bright for the young Hayes. In an interview with the Los Angeles Times, Hayes shared his plans to buy a new car and move in a luxury house in the posh Spanish Hills development in Camarillo, California. He had already sent his two weeks’ notice to his employers, too. “I’m not going to blow the money,” Hayes had promised, looking forward to a better life. Hayes got a divorce not long after winning the lottery. His ex-wife got half of his winnings while he opted to take a lump sum of $6m. With the right planning and proper investments, he could have lived a comfortable life. Unfortunately, he had developed a nasty drug habit that saw him consuming $1,000 worth of heroin on a weekly basis. With his addiction spiraling out of control, Hayes’ $6m quickly whittled away. Others would have brushed it off and looked for a job, so they could start anew, but Hayes had a different plan for recouping his losses. He sold most of his belongings, created a start-up with whatever money he had left and is now a successful businessman with hundreds of employees under his wing. Just kidding! He became a bank robber. Hayes was dubbed by the FBI as the “Seasoned Bandit” due to his apparent age and silver hair, as well as the “PT Cruiser Bandit” due to his getaway car. 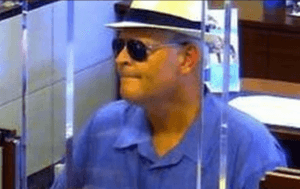 According to court documents, the lottery winner turned bank robber operated under the same M.O. across all his capers. It was simple, really. Hayes would pass a note to bank tellers demanding them to give him money. On some occasions, presumably when tellers seemed uncooperative, he would threaten them and say that he had a gun. And it worked! But, not as well as he’d hoped. While he managed to rob around 11 banks, Hayes was only able to get just under $40,000 in total. Danny Ocean, he’s not, that’s for sure! In 2017, the FBI finally caught James Allen Hayes—who also went by the aliases James Killen and Ceaser Killen—in an abandoned garage he had been living in. 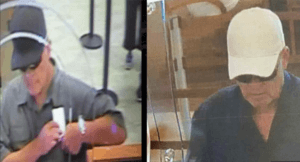 He was indicted October last year in connection with heists that occurred in Newhall, Pacific Palisades, Santa Barbara, Stevenson Ranch and Valencia, among others. As part of his plea deal, Hayes forfeited his Chrysler PT Cruiser, his signature getaway car that was purchased using money from a robbery. He is facing 20 years in prison and is to be sentenced on June 7.